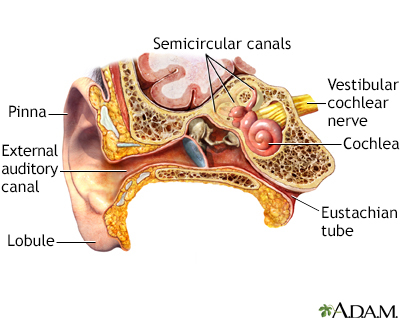 Acoustic trauma is injury to the hearing mechanisms in the inner ear. It is due to very loud noise. Reviewed By: Josef Shargorodsky, MD, MPH, Johns Hopkins University School of Medicine, Baltimore, MD. Also reviewed by David Zieve, MD, MHA, Medical Director, Brenda Conaway, Editorial Director, and the A.D.A.M. Editorial team. Editorial update 09/28/2018.